We have an amazing and interesting swimming pool, here are a few photos of our pool, which was build in 1964 and has a significant amount of history. 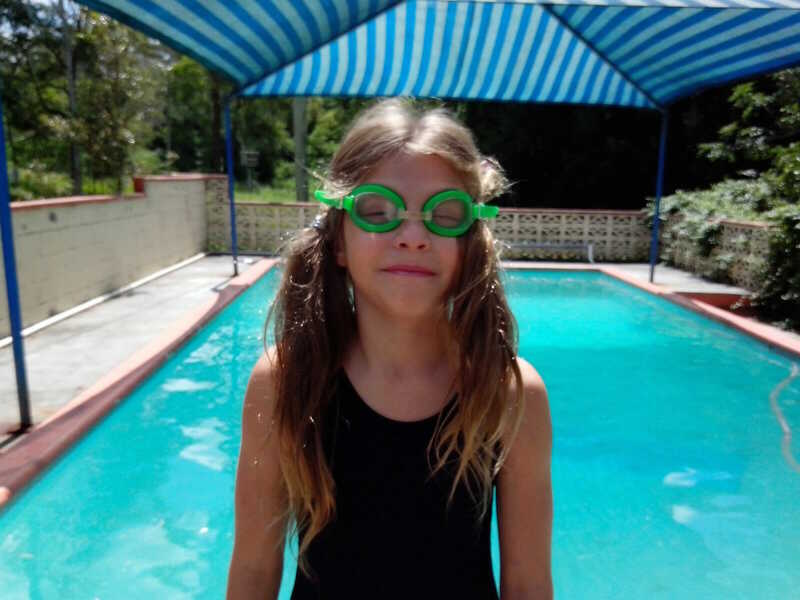 Catherine at the pool, I had the sun screen up overhead, but the pool is a chlorinated salt water pool which rusted out the steep posts and sadly I no longer have the shade sail overhead. 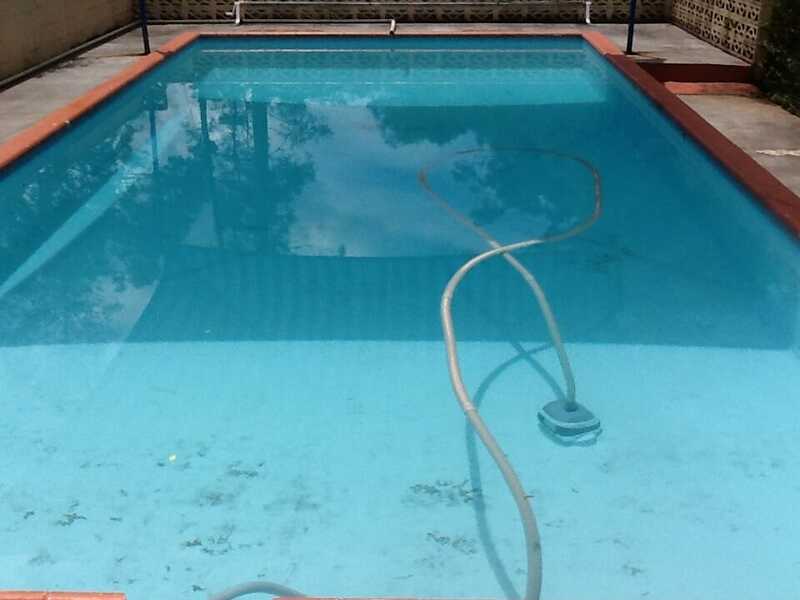 The pool is a looking a little neglected here, all cosmetic but I have cleaned this up and it looks fantastic now. I like this photo because you can see how clear the water is, in the deep end it’s 6 Foot and 6 Inches deep but looks very shallow because it is so clear.